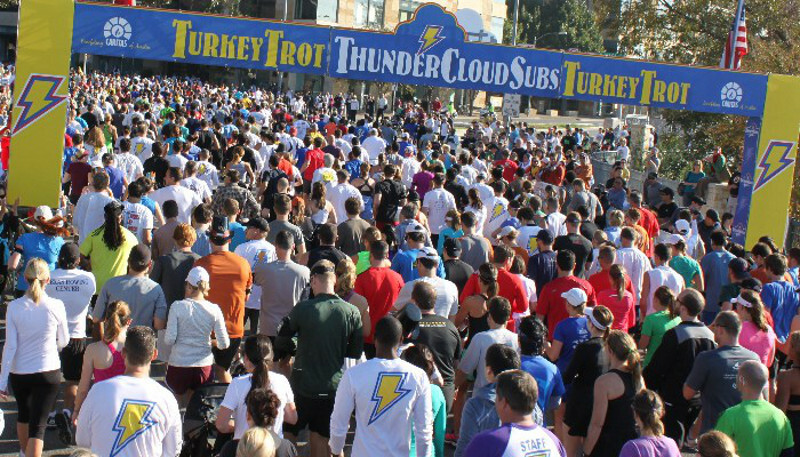 Austin.com Here Are 10 Things To Love About The ThunderCloud Subs Turkey Trot! 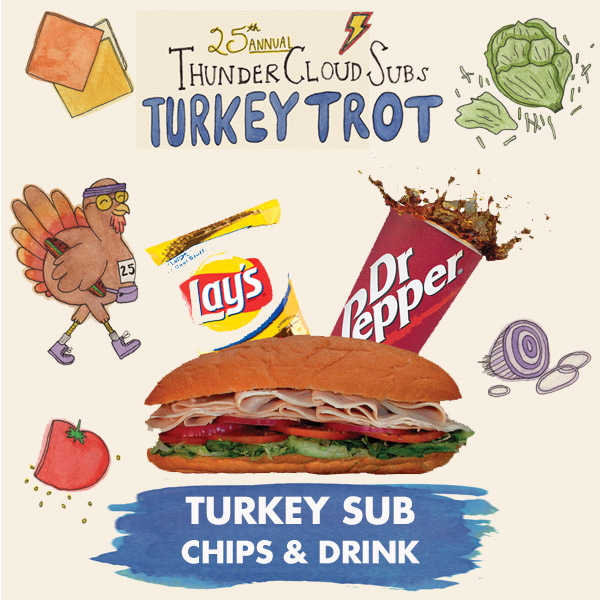 Here Are 10 Things To Love About The ThunderCloud Subs Turkey Trot! 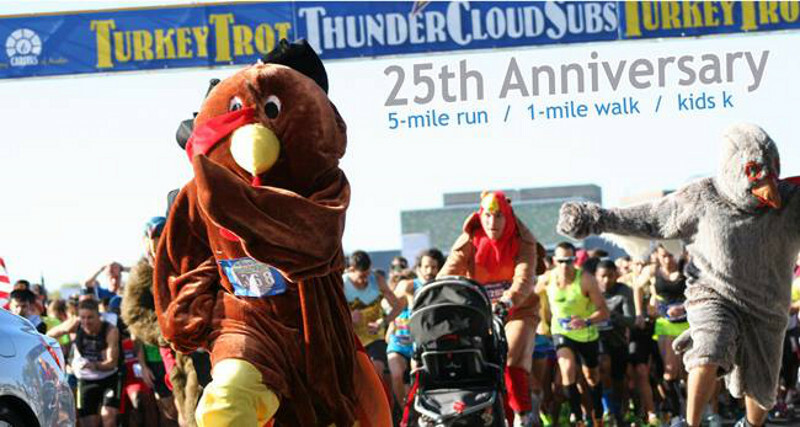 Over the last 25 years, The ThunderCloud Subs Turkey Trot has become a tradition for the city’s dedicated runners and casual walkers alike. Put on to benefit local charity, it’s a seriously good time for a great cause and tens of thousands turn out to get some holiday exercise. In celebration of the event’s 25th birthday this year, here are 10 things to love about the Austin Turkey Trot! As the ThunderCloud Subs Turkey Trot crosses over into the other side of its 20’s, the event shows no signs of losing steam. 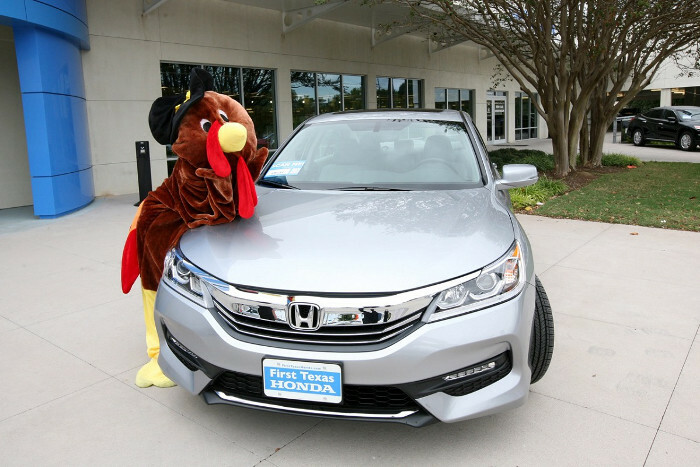 Due to Austin being an active city, we are sure that the Turkey Trot will be here for many more years to come. 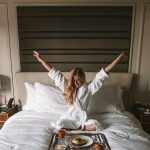 Here’s to 25 more! Celebrating the quarter-century mark, anyone and everyone can get a Turkey sub, chips, and a drink for just $5.99 right now. Nice! The race kicks off in front of The Long Center looking over Ladybird Lake where runners participate in either a five mile run, a one mile walk, or the Stepping Stone School Kids run for children throughout downtown Austin. Whatever your speed, come ready to burn off the extra calories before you dive into your Thanksgiving meal! 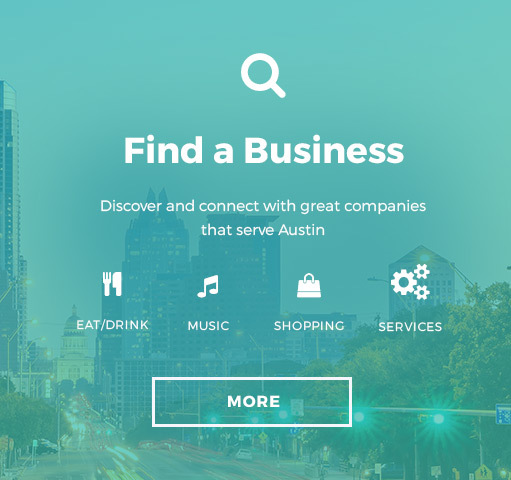 To keep up the spirit of supporting local businesses, nearly every Thundercloud-sponsored event in Austin encourages attendees to keep things local by supporting the city. 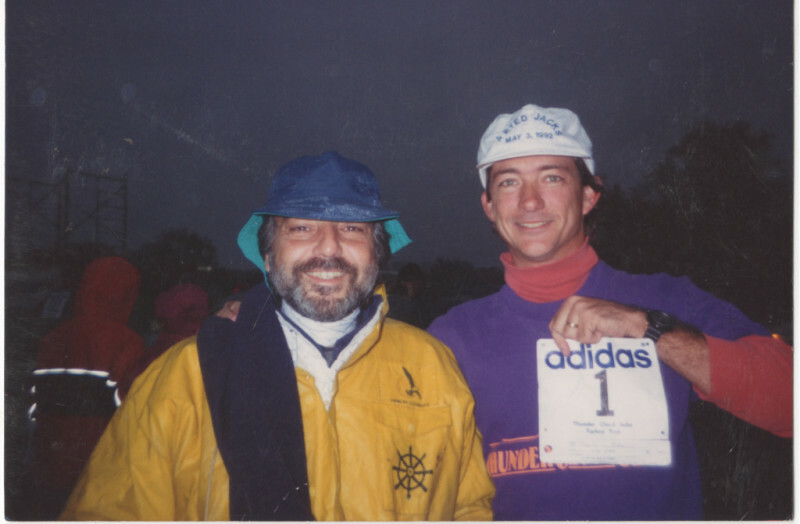 The ThunderCloud Subs Turkey Trot got its start in 1991 after co-owner Mike Haggerty participated in a Trot in his hometown of Dallas during a Thanksgiving break in college. 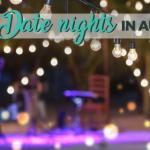 Inspired by the experience of giving back, while also doing something healthy, he thought it would be fun to start one in his adopted home town of Austin. 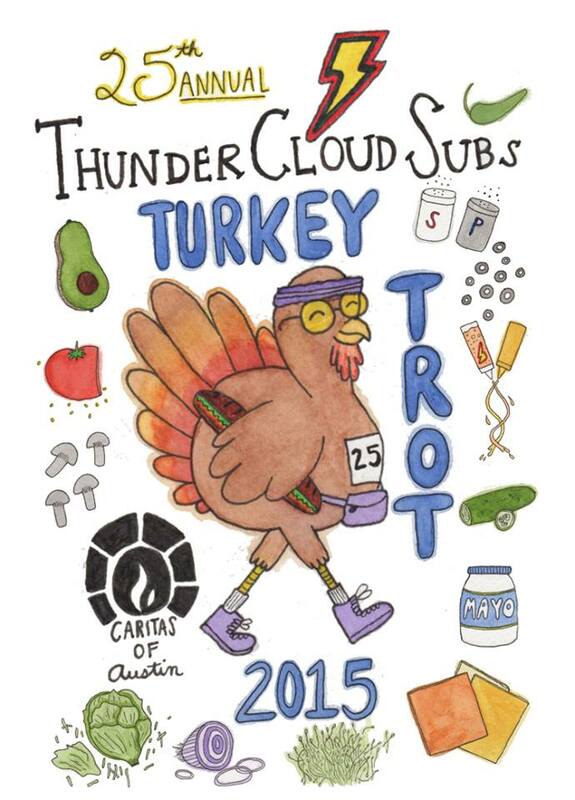 That’s how, in 1991, ThunderCloud Subs gave birth to Austin’s beloved Turkey Trot. Although the first race started with just 600 participants, by 2014 it swelled to over 20,000 people. That’s awesome. Photo: Caritas of Austin on Facebook. People love the Turkey Trots, no matter where they are held, for several reasons. Sure, getting out for a healthy activity is wonderful, but the main purpose is giving to those in need. 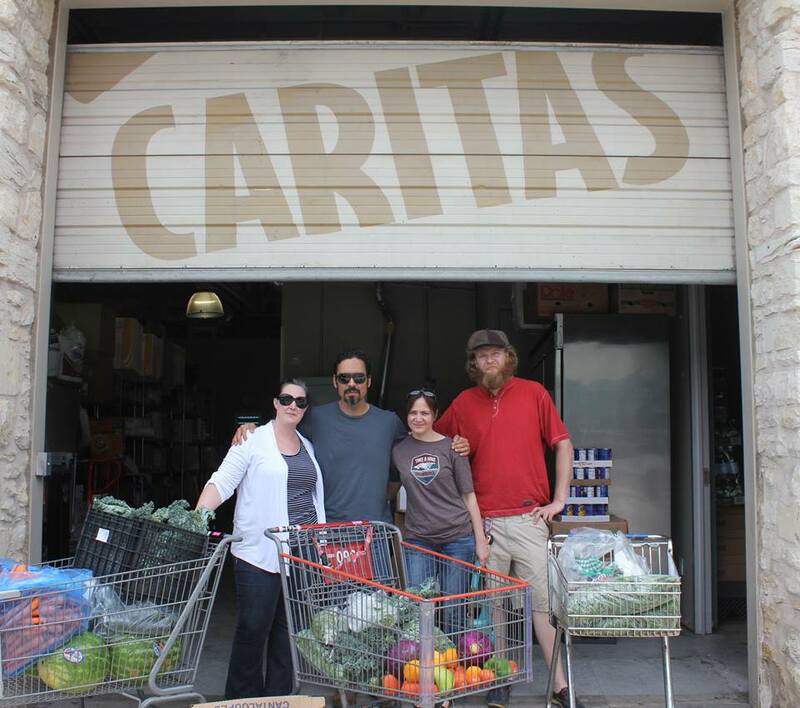 Since the first Austin Turkey Trot 25 years ago, 100 percent of the proceeds have gone to Caritas of Austin, an organization that helps the working poor achieve self-sufficiency in a city that’s growing more expensive by the day. Since 1991, the Turkey Trot has donated a staggering $2.5 million dollars to Caritas of Austin. Amazing! 6.) Thanksgiving Is Already A Minefield For Your Health, so the exercise is great! Photo: Flickr user Tim Sackton, creative commons licensed. 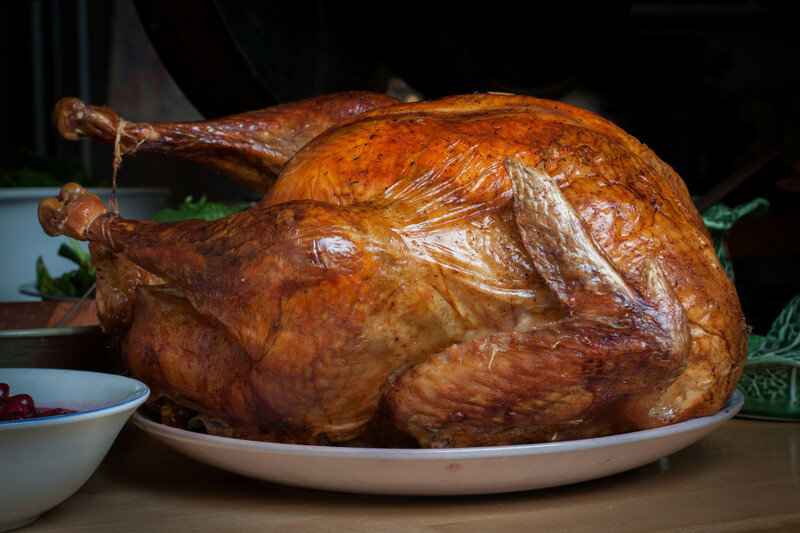 Of course one of the main things that draws people to participate in the Turkey Trot is the chance burn off some extra calories folks tend to onboard during their yearly feast. Ending the year participating in healthy activities can have a very meaningful effect, whether you decide to walk or run for the event. 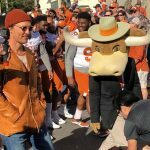 Of course, for many Austinites, the Turkey Trot has become an annual tradition that is an important part of their Thanksgiving holiday. While the Turkey Trot relies on plenty of volunteers, there is one man in particular who keeps things running smoothly. His name is Jose Hernandez (pictured left), operations manager for ThunderCloud since 1991. What people may not know about Hernandez is how much he does for the event before the crowds ever show up. He is the one who brings everything that is needed to keep the event rolling, including 50 cases of bananas, 90 gallons of coffee, muffins, and juices of all kinds. All that good stuff fuels 20,000 runners and walkers as they make their way across the finish line to support local charity. Our hats are off to you, sir! And that’s just one example of the many awesome people who work for ThunderCloud. Over the last 25 years, not much has changed about the Trot except for its logo. 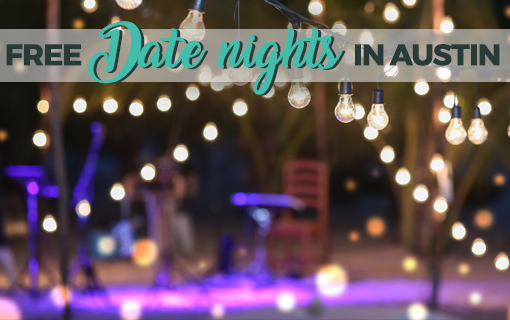 Relying on artsy Austin residents to come up with a new one every year keeps the event from looking stale. Naturally, they hold contests to see who can come up with the most creative logo, and the winner is awarded vouchers for an entire year’s worth of ThunderCloud sandwiches. 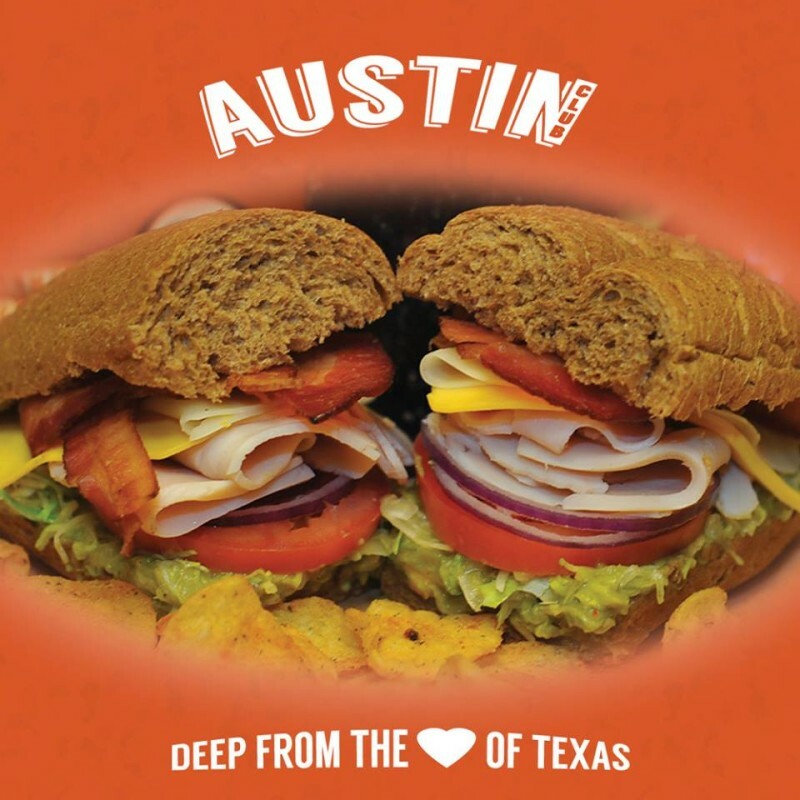 For any die-hard ThunderCloud fan, this contest is for you. Also: Congrats to this year’s winner, Elizabeth Reeves, an aspiring animator who lives in Cedar Park. That logo is ookin’ good! While runners come back every year to participate in the Trot, Elinor Mire was probably the most dedicated of them all. 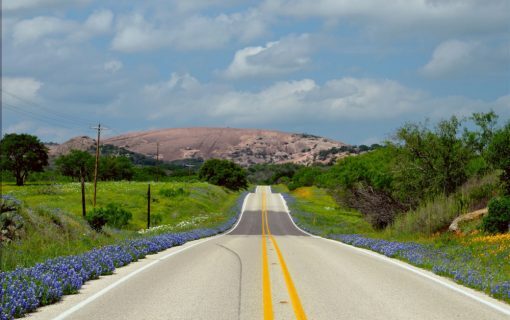 In 1995, Mire, an avid runner, won the Bob Rodal Golden Shoe Award from Runner’s World magazine for her dedication and passion for the Austin running community. 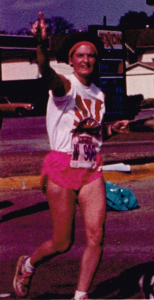 Elinor was the original director of the Trot, along with other running events throughout Austin, including the Jingle Bell. 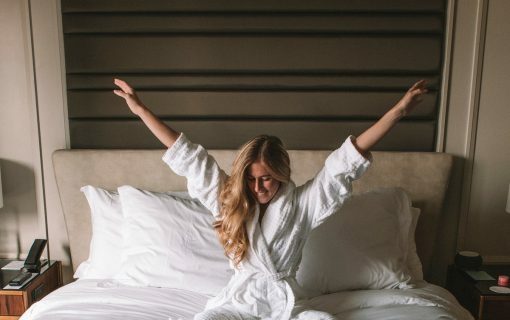 However, in the early 2000’s, Mire was diagnosed with amyloidosis — a rare disorder where insoluble protein fibers build up in the blood, damaging organs and muscles — as well as multiple meyloma, a cancer of the blood and bone marrow. 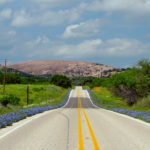 An employee of Austin Independent School District for a decade, Mire continued to strongly believe in fitness education for everyone, particularly children. After her death, the Turkey Trot continued Elinore’s legacy by giving a scholarship to deserving central Texas kids, called the Elinore Mire Run Entry Scholarship, in hopes of promoting he importance of fitness. Interested applicants may apply online. Photos & illustration via ThunderCloud Subs on Facebook or ThunderCloud.com, unless otherwise noted.